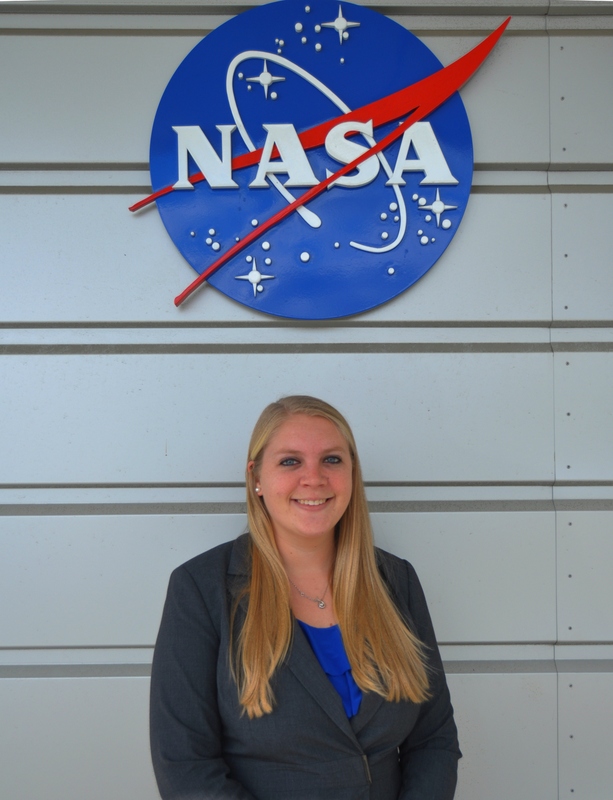 Today let us introduce you to Ande Ehlen from NASA Langley Research Center. Ande is the Center Lead for the DEVELOP Program’s Great Lakes location. NASA’S DEVELOP Program is a student-led research internship that focuses on using NASA Earth observations to address community concerns and public policy issues. What inspired you to apply for DEVELOP? My love for science started as a little girl growing up in Florida. I was always surrounded by new adventures, from tree climbing to exploring tide pools. I pursued my interests in science through my academic career and was lucky enough to stumble across the DEVELOP Program my senior year of college. I was drawn to the scientific and professional experience I would gain through an internship while still being able to attend school. The opportunities offered by the DEVELOP Program seemed endless, and have continued to prove so. When I was little, my family always took camping and canoeing trips. We traveled a lot, and something about the environment has always sparked something within me. I’ve always been really interested in marine science, ecological relationships, environmental conservation, and field research. I followed my interests and even obtained my Advanced Certification for scuba diving! Earth science is a great field to study. There’s always something to learn or research in order to continue proving and finding solutions for complex environmental issues. Plus, we’ve got to take care of what’s close to us here at home! What role does NASA play in your life/career? My experience with NASA has shown me that working here is full of all kinds of opportunity. It’s about learning, growing, and networking. 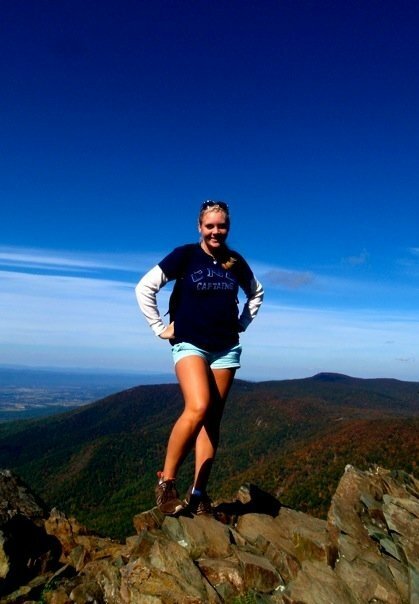 I’ve gained substantial skills in research analysis, GIS, remote sensing, and NASA’s capabilities. I’ve grown in my leadership skills, professional development, and working both individually and as a member of a team. I’ve also learned about myself and my capabilities. Lastly, the people I’ve made connections with through my experience with NASA are immense. Interacting with environmental groups, some of the world’s top scientists, and various policy makers has opened up many doors for my future. With this question, several things come to mind. I could list many things I’ve overcome in life that I am proud of, such as moving around a lot or achieving a degree in a challenging field. However, all I can think is that at 22 years old, I’ve really only begun to achieve greatness. I’m on the right track – my greatest accomplishment (so far) is simply having the ability to work toward writing my life’s legacy. I’ve only written the prologue, and there’s a lifetime of great accomplishments ahead. But so far, it’s everything I’ve done that’s helped me to arrive at this very moment. I couldn’t be more proud of myself for where I am today. Can you describe a time when you had to make a difficult decision and what you learned as a consequence? One of the most difficult decisions I’ve had to make was when my mother moved to Indiana the summer before my senior year of college. My older brother and sister already lived in Indiana, along with my nieces and nephew. It was difficult enough knowing how little I got to see them and now with my mother moving too, I felt very alone. I was torn between moving to Indiana after graduation, or staying in Virginia and seeing where that path may take me. Staying here in Virginia was one of the most difficult decisions I’ve had to make, but also one of the best. I’ve discovered a lot about myself and my capabilities. I’ve also learned about independence, and that distance is just a number. Family is always within reach. There’s one person who always encourages me through my academia, goals, work, and dreams. My mother has taught me what unconditional love is, to always be true to my abilities, and that no struggle is too large to overcome. She’s opened my eyes up to seeing that there is always someone to support you, and things could be so much worse. Through my mom’s aspirations and leading by example, I’ve learned to always accept new challenges and live fearlessly. You never know where you may end up. How has your career surprised you or given you unexpected opportunities? I’ve really gained a grasp of the capabilities of NASA Earth Observing Systems in studying environmental issues, from something as large as a hurricane to as small as one lake with water quality issues. I never thought I’d be studying so many various issues by using satellite data, and then be able to teach the methodology to end users who can benefit from it. However, I truly never expected to present my project and methodology to 35+ mayors and policy makers from around the Great Lakes this past June. I was the youngest person at the conference, and it was in Quebec, Canada! I was very nervous, but it was such a unique and rewarding opportunity and I’d do it again in a heartbeat. The future is always a mystery. I’m never afraid to explore new paths and take on new challenges. Ultimately however, I’d like to secure a challenging position with an environmental sciences focus and be helping with conservation or working to study environmental issues. I’d also like to return to school to receive my M. S. in a related field. What one piece of advice would you like to pass on to those who read your story? Ask questions. Spend time outside. Travel every chance you can. Explore your interests, no matter how little talent you may have in them. Work hard… you’ve got nothing to lose. Learn everything you can about yourself. Make sure those you care about most know how much they mean to you. Always expect the unexpected – anything can (and will) happen! And finally… enjoy science!